Does Your Website Inspire Your Members? Strangely, websites can be a lot like air travel. You see, I’ve spent a fair amount of time in and around airports lately. During one such visit, I had the following experience that really got me thinking about how an organization treats its customers, and thought I’d share a few thoughts along those lines. 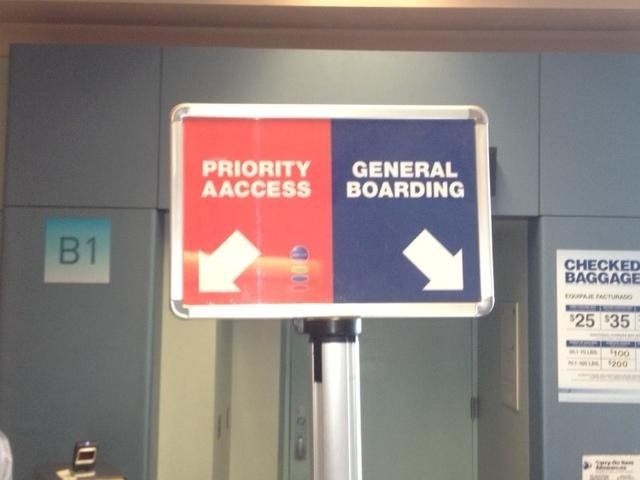 When waiting to board one flight, I noticed that the airline had set up distinct differences between those granted priority access and the hoi polloi, who must board with the other commoners. At one point, amidst the general jockeying for position that inevitably takes place prior to boarding, there was an important announcement (followed immediately by a surge in the crowd) that those not in the priority group should remember to use the main boarding queue – that is, the one without the red carpet! This remark (and the sounds of mooing that ensued) made me think about various association websites I visit regularly and how members and other stakeholders are treated. In some cases, registered users (a.k.a., members) are given the preferential treatment afforded by airline carriers to those in first class – amenities like personalized content, access to critically important content, and other perks of membership. In other cases, there is really no there there – nothing “behind the curtain” that makes it worth the time, energy, and perceived loss of privacy entailed in providing login credentials. Nothing served as an incentive for members to undertake the effort to establish a profile, which, used correctly, could yield a wealth of information that would underscore the value of membership and put the website in the coveted must-visit list for them. Not that I wish to disparage those visitors who are not members – they should also be considered, but perhaps as part of the “general boarding” populace (i.e., given a more modest level of amenities). So, how are you treating your visitors? Are they truly given first-class services and the red-carpet treatment, or do they just have the honor of standing in a different line? Furthermore, as Ernie alluded to, does the effort of logging in wow and inspire them, or are you just dishing out peanuts?